India currently lags behind the US and China in terms of Artificial Intelligence (AI) capabilities and a major reason for this is the lack of large internet companies for harnessing user data. A year ago, the Union Ministry of Commerce set up a team to study ways to make use of AI for India’s economic growth. The report was released recently and marks several interesting points. The report is a mix of a vision document and a semi-concrete policy proposal as it highlights several issues in general terms without laying down detailed plans to achieving those objectives. In particular, the report has come up with ten domains where AI can be leveraged to benefit the Indian economy and state – health, agriculture, fintech, manufacturing, education, retail, public utility services, and technology for differently-abled, environment and national security. Apart from identifying important domains, the report also brings to the front four ‘grand challenges’ -which AI development in India faces. These are – improving manufacturing in the SME sector, improving healthcare quality, improving agricultural yield, and improving delivery of public services. The report proposes to collect, validate, standardize, correlate, archive and distribute AI-relevant data to organizations via a governed and regulated system of digital exchanges. The report bats for data protection policies to be enforced, auditing datasets rigorously to prevent bias and clearly state the rights and duties of independent organizations. Government’s recognition of the potential of AI and increased investments across data-based ventures has opened a window of opportunities for entrepreneurs. On February 1st, 2018, during the Budget presentation, finance minister Arun Jaitley announced a national program on AI which would be headed by Niti Aayog’s vice chairman Rajiv Kumar. The program’s main aim would be to develop a plan of action to develop India’s AI abilities to counter China’s commitment towards AI, which is already acting on its three-step plan to become a world leader in AI by 2030. The report has also addressed the ever haunting question of employment in the AI environment. The team itself is quite optimistic about the employment scenario on the basis of a number of previously carried out studies that seem to suggest that AI will only increase the number of jobs and not destroy. But to arrive at concrete numbers, India specific quantitative model studies need to be encouraged. Recommendations of the report to the Indian Government include creation of about six centers for excellence in research for AI, establishment of an inter-ministerial National Artificial Intelligence Mission and creation of data exchange banks with a public advocate. The entire effort brings forth government’s readiness to engage in discussions pertaining to AI and the ethics for incorporating it into the system. 25 years ago Infosys and Wipro disrupted the software model in India but the country failed to do so in the Internet and mobile era. Now is the time to look towards disruption in AI. 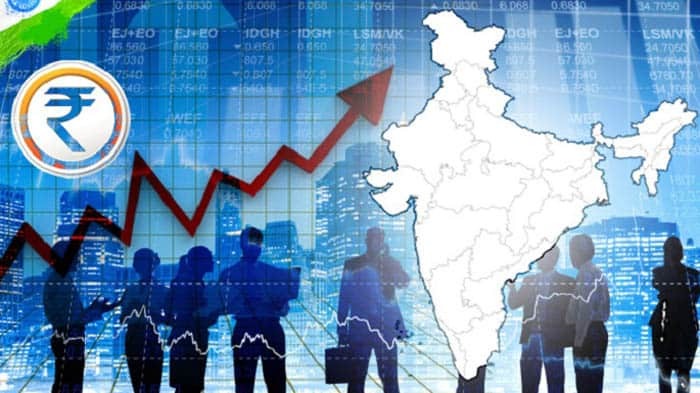 According to a study conducted by Accenture, the country’s income would be increasing by 15% in 2035, adding US$957 billion to the Indian economy.